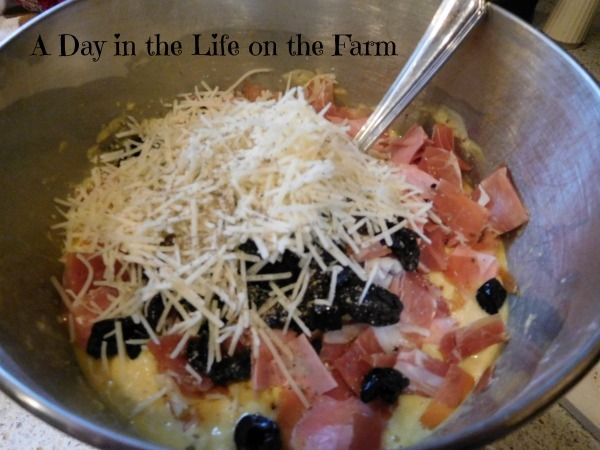 Welcome to Day 2 of Easter Week, hosted by Christie of A Kitchen Hoor's Adventures. We are gathering each day this week to share some wonderful Easter recipes that can really be eaten any day of the year. Today is also Bread Bakers day. A group, under the direction of Stacy of Food Lust People Love, that get together on the second Tuesday of each month to share a bread recipe based on a theme chosen by one of the members. Pavani of SpiceRoots is hosting this month and asked us all to make Breads from Italy. 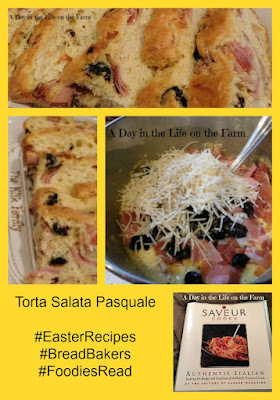 I found this recipe for Torta Salata Pasquale in a cookbook I have, Saveur Cooks Authentic Italian and did a little happy dance. This traditional Italian Easter Bread perfectly covers both of my challenges today. 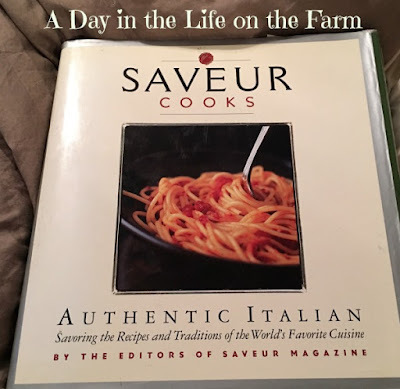 This is one of my favorite cookbooks. It contains little stories and blurbs throughout talking about how a dish came to be popular, how the ingredients are grown and used. how and why the families use and serve the recipes according to region, etc. When you flip through this cookbook you feel as if you have just stepped onto Italian ground. The photos are just awesome. This bread was quick to put together and it was such a surprisingly different taste than what I am used to. You know that thing your mind does when you pick up a glass of water and take a drink to find out that it is really juice or pop? 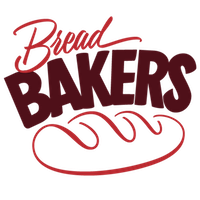 Our minds are programmed to expect a certain taste when we hear "bread" or "Italian bread" and just get blown away when it doesn't taste like our minds expect. 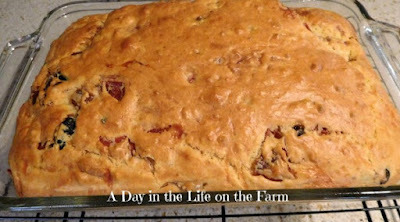 The liquid in this bread is a combination of olive oil and wine, giving it a very fruity taste. 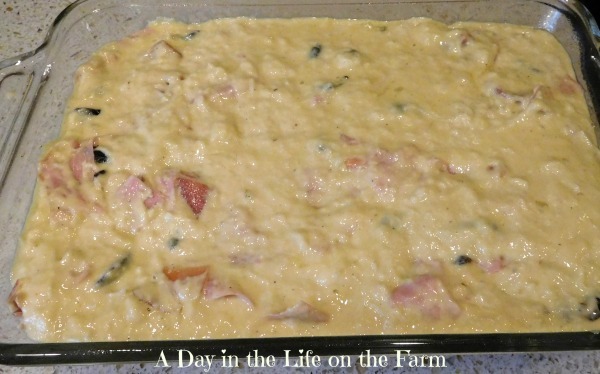 Then add in the richness of the prosciutto, mortadella and olives and it is like taking a bite of a coffee cake that is not at all sweet but so decadent that it "feels" sweet. I don't think I am, or can, properly describe this amazing bread. It would be a wonderful addition to your Easter celebration or your next brunch table. I immediately thought of a picnic when I was enjoying it. It would be perfect on a picnic with a good bottle of wine. You wouldn't need anything else in the picnic basket. This bread would be a perfect, complete meal. This is a "quick" bread, meaning that there is no yeast used so there is no need to allow time for the dough to rise before baking. The leavener in this bread is baking powder so you don't need to get up at the crack of dawn in order to enjoy this bread during a brunch or an early dinner. You will find a slew more of recipes perfect for Easter as well as more Italian bread recipes at the bottom of this post. 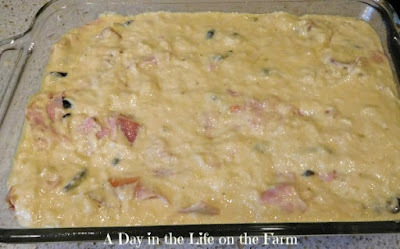 I am also linking up this recipe over at Foodie Reads. 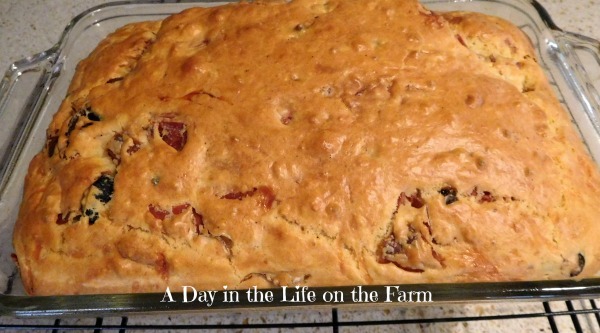 Nothing beats a good savory bread, and this looks delicious! Meat + cheese + fresh bread = AWESOME! Thanks Shannon, it was awesome! Oh I am going to love this bread. Wine instead of water? 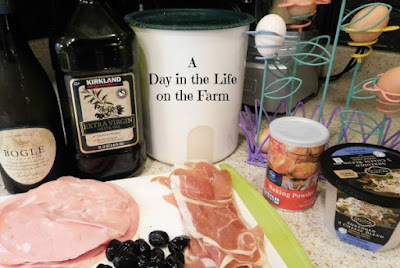 Prosciutto and Olives ? I am looking so bright eyed at this bread!! Thank you for participating this month! Great choice of bread! A very interesting combination of ingredients! It was very different from anything I had ever had before Paula. Wendy, I love the fillings in this bread. It sounds absolutely delicious! It was Anne and easy to make as well. That sounds totally decadent. And now I'm heading over to Amazon to check out this book. That looks so flavorful and fun!! Yum! I definitely thought this was a yeasted recipe. Nice! Definitely looks packed with flavour. It is Kelly and still quick and easy. That looks very flavourful and delicious!! This bread looks delicious and wholesome Wendy!! That is such a festive and delicious looking bread.